Everton Boss Marco Silva accused the United winger of diving after Sunday's game and said it was wrong to award the spot-kick after replays appeared to show Idrissa Gueye make contact with the ball first. 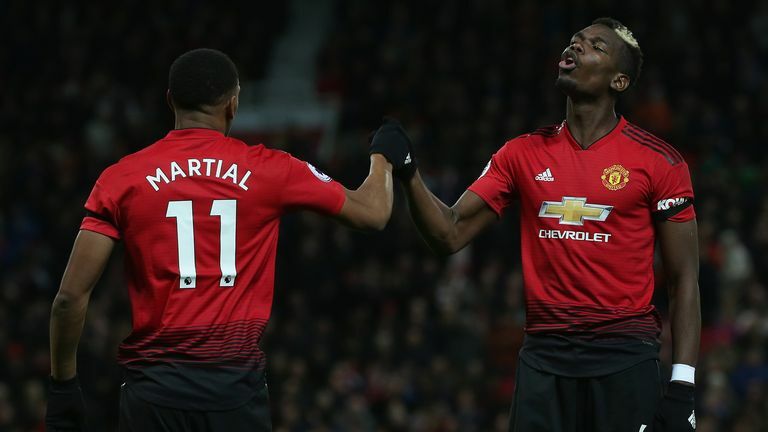 Martial went down under a challenge from Gueye after 25 minutes to earn a penalty which was taken by Paul Pogba, who needed the rebound to give United a 1-0 lead at Old Trafford. The Frenchman continued to make an impact down the left-hand-side - doubling United's lead in the second half with a curling effort into the bottom corner of Jordan Pickford's net. Despite Gylfi Sigurdsson making it 2-1 with 13 minutes to go, United were able to hold on for their second win in eight games. 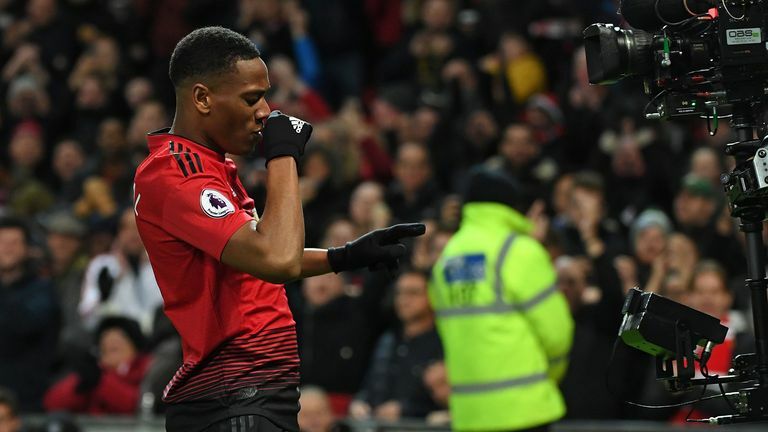 United manager Jose Mourinho was hugely pleased with Martial's performance saying he had improved everything about his game in recent months. Martial has scored four in his last three Premier League matches and is the team's joint top scorer this season across all competitions. Sky Sports News has been told Martial rejected a contract renewal offer from the club but that talks will continue in pursuit of an agreement. Martial's deal expires next summer but the club have an option to extend his contract by a further year.